What is aging? Can we live long and live well—and are they the same thing? Is aging in our genes? How does our metabolism relate to aging? Can your immune system still defend you as you age? 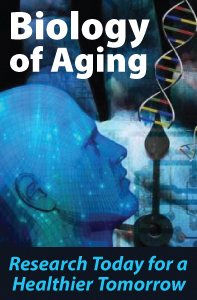 Since the National Institute on Aging was established in 1974, scientists asking just such questions have learned a great deal about the processes associated with the biology of aging. Technology today supports research that years ago would have seemed possible only in a science fiction novel. This course is offered for .2 ASHA CEUs (Introductory level, Professional area).ASHA credit expires 9/14/2017. ASHA CEUs are awarded by the ASHA CE Registry upon receipt of the quarterly completion report from the ASHA Approved CE Provider. Please note that the completion date that appears on ASHA transcripts is the last day of the quarter regardless of when the course was completed. This entry was posted in Speech-Language Pathology CEUs and tagged ASHA, ASHA CEUs, Biology of Aging: Research Today for a Healthier Tomorrow, online course, Online Courses, Professional Development Resources, SLP, SLPs, Speech Language Pathology by Gina Gunderson. Bookmark the permalink.